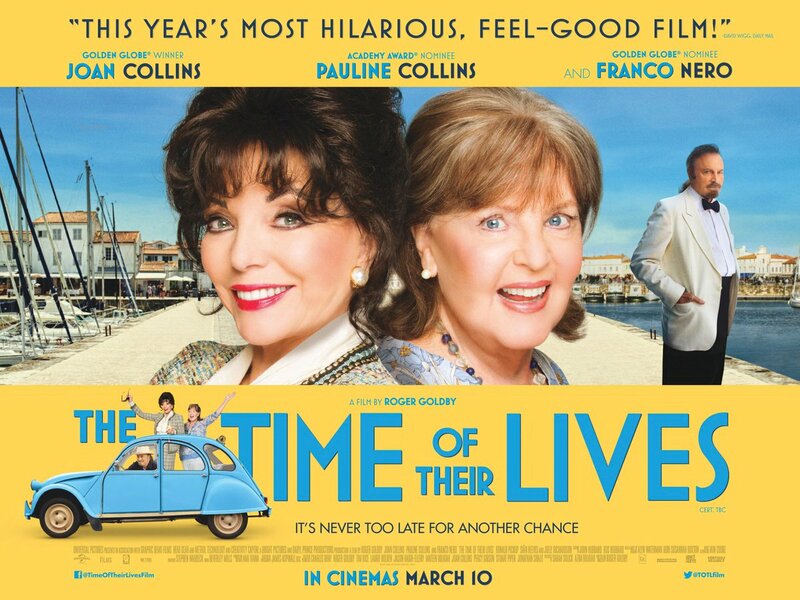 We worked with Universal Pictures and Bright Pictures handling unit publicity for British comedy The Time of Their Lives starring Dame Joan Collins, Pauline Collins and Franco Nero. The Time of Their Lives follows former Hollywood siren Helen (Joan Collins) as she sets out to gatecrash her ex-lover’s funeral on glamorous French hideaway Ile-de-Re. She escapes her London retirement home with the help of Priscilla (Pauline Collins), a repressed English housewife stuck in a bad marriage. Pooling their limited resources, they hit the road together by coach, ferry, car and foot in a race to get to the funeral on time, becoming entangled in a love triangle with a reclusive Italian millionaire (Franco Nero) along the way. On this unforgettable journey, they find true friendship in one another – and have the time of their lives. We handled unit publicity throughout all stages of production, on-set press visits, press materials and social media. Pre-release publicity highlights include Screen Daily, Yahoo.com, Bournemouth Echo, The Times, Daily Telegraph, Daily Mail, Mail Online, UK Metro, Radio Times, London Evening Standard, Lorraine (ITV), Variety, Women in Hollywood and The Hollywood Reporter.